Capitalism is the dominant economic ideology of the 21st century and, to some degree, it defines the way of life for most people on our planet. Understanding capitalism is imperative for understanding our world. For some it is a negative word, whilst for others it is the source and means of all that is really good in our world. There is more to capitalism than mere economic facts and figures. Indeed, there is no single definition that can capture what capitalism ‘means’. Rather, it is a complex historical-cultural phenomenon, which some describe as a belief-system, or a worldview. In different countries, from the USA to China, it manifests itself in different ways, so that this vast topic remains a challenging one to study. However, the four lessons in this Economy Module will help you to understand both the key ideas and tenants of capitalism, whilst also equipping you to engage with the system. As a starting point, capitalism can be described as the economic system that seeks to maximize financial return on the use of capital. However, a wider understanding includes property rights, limited role for government and free-enterprise. Capitalism has flourished best under the rule of law, transparent market relations and a Judeo-Christian culture – especially one which places moral restraints on excessive greed and encourages social solidarity. Capitalism can, to some extent, be credited with serving the common good and lifting millions of people out of material poverty. However, the 2007-08 financial crisis exposed the ugly side of capitalism. Two decades of deregulation, the weakening of moral restraints and the reckless pursuit of capital-returns in impersonal global financial markets, almost brought the entire global financial system to the brink of collapse—a result which would have had catastrophic consequences. There is also the pressing issue of the environmental impact of global capitalism. 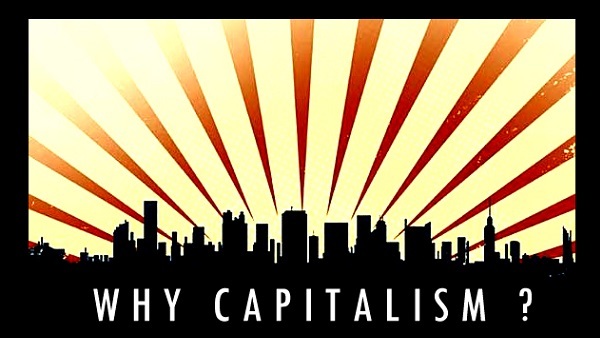 The learning objectives for this Module are, understanding capitalism, critiquing it from a Biblical perspective, looking at ways capitalism has gone wrong (particularly as it pertains to issues of debt and interest), and finally considering how new kinds of capital markets in enterprise economies can be built on the foundations of Relational Thinking. To begin with, watch the introductory video with Dr. Paul Mills explaining some of the broad themes and issues you will learn about in The Economy module. The Jubilee Centre is funded entirely through voluntary donations; please consider supporting our work. The Biblical Foundations for Public Leadership course was developed with sponsorship from Sallux. Copyright © 2019 Biblical Foundations for Public Leadership. Powered by WordPress. Theme: Spacious by ThemeGrill.